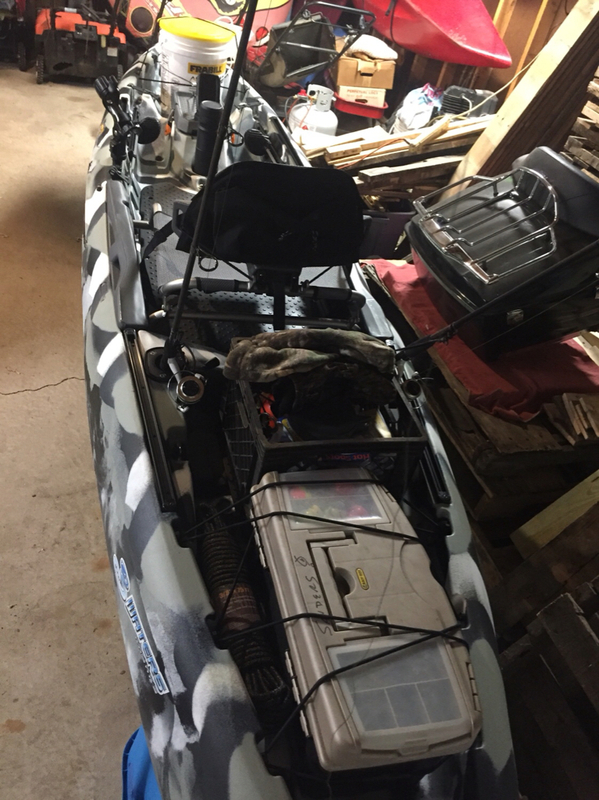 So I took the drive up to Madison to Canoecopia and I walked out with a new PFD and a special order slip for my new 3 Waters Big Fish 120 Kayak. I ordered it in the Urban camo and should have it in April. 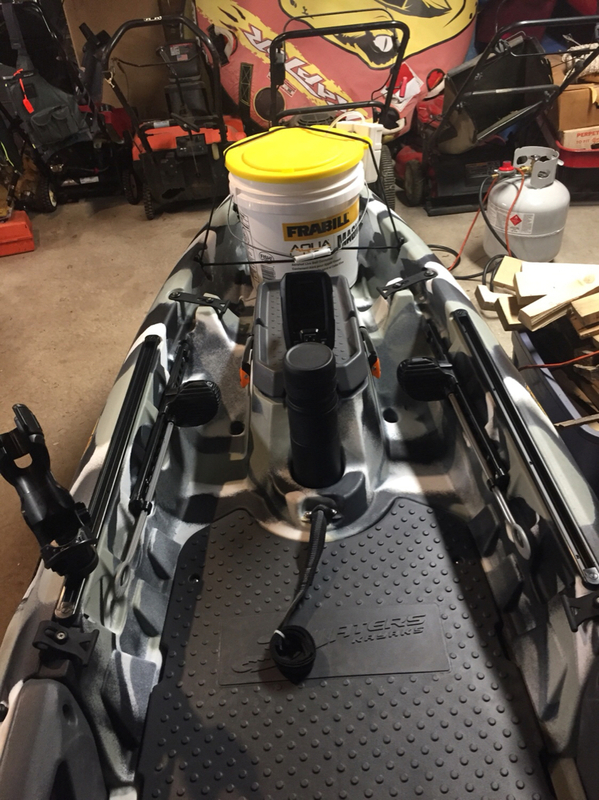 It was a bummer that Feel Free did not have any with them at the show but I am looking forward to using it on the water. 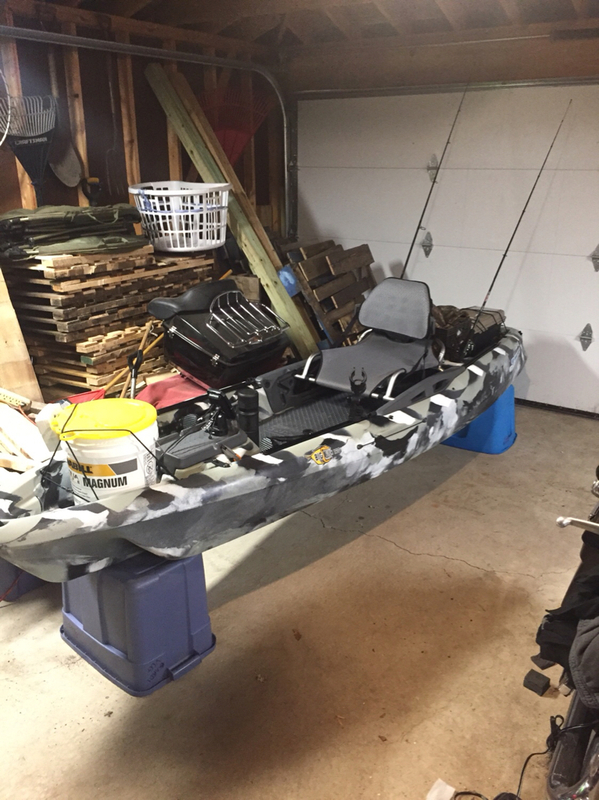 I will have a review about it once I try it out on the Chain of lakes in IL and the Fox river and see how she handles. Now its time to order up some accessories and start getting supplies for some DIY's for when it comes in. I saw the boat at the same show and thought that it looked nice. Did they tell you the story as to how they came to sell that boat? 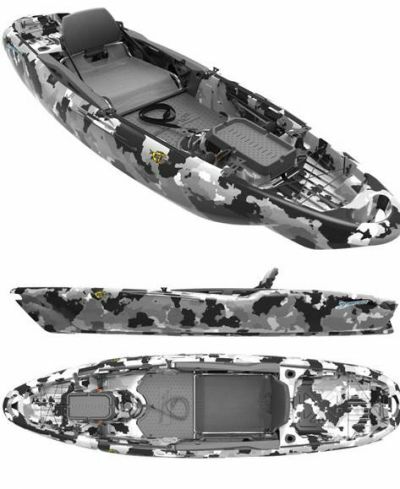 The rep told me it was developed as a boat for Bass Pro Shops, but when Cabelas acquired BP, Cabelas only wanted their boats sold in their stores. So after all of the R&D put into the project, they just had to still release the boat and so the Big Fish brand was born. Looking forward to reading your reviews on your purchase. The hull design looks cool and in person it is a nice big boat with plenty of room and features. Congrats again. How do you like the yak? I was looking at getting the Cabela’s version. I just saw it yesterday in the NEW Gander Mnt store that re-opened, looks really nice. I think they are going to start carrying several brands of kayaks now. At the same show that Lurch went to, I heard that they will also carry a limited number and styles of Jackson Kayaks. I welcome their expansion. Nothing on the web site yet. I did notice that they carry the Lure 11.5 but NOT the 13.5. Frustrating indeed. I'm curious what models of Jackson that they will carry. 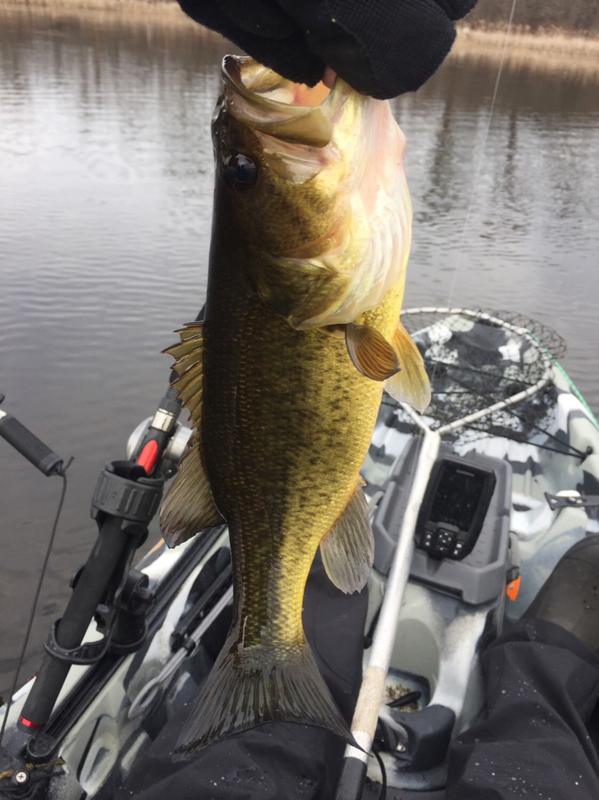 Ok sorry been going crazy at home lol I have had the big fish for a few weeks now have it all rigged up and there are things I like and don’t like but all in all love it for starting out. I would recommend getting the beavertail rudder for it off of ack when you are fighting the wind. If you want to know specifics just ask and I’ll answer as soon as I can. Here is the latest pics I have I do have more upgrades already but don’t have the photos, I will upload those later. I am a bigger guy and yes you can stand and move around cast, set the hook in this yak I’m 6’5 250 and no problems so far. 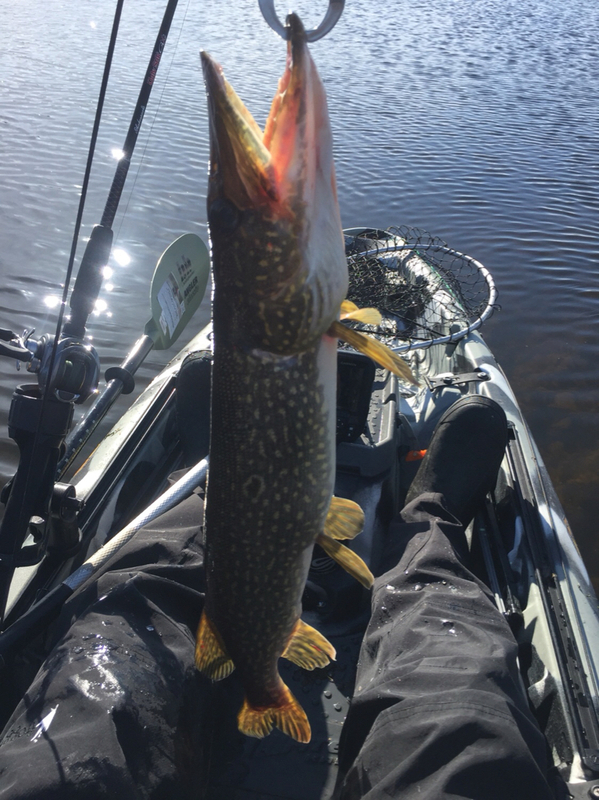 Congrats for actually getting in the boat you bought and catching some fish. That's what it is all about, isn't it. When you can come up for air, life is busy, give us for more feedback on what you perceive as strengths and weaknesses of the boat.